Promote teamwork and build coworker relationships…at the 2014 HealthPlus Brooksie Way, on Sunday, September 28th! Team Challenges are offered for the Brooksie Way 5K, 10K, and half marathon races – giving YOU the opportunity to bring together coworkers and represent your company at the finish line. The Team Challenge will be scored using the cross-country method; team scores will be based on each runner’s finishing position within his/her age group. The top 5 positions will count toward the team’s score. Downloading the appropriate team entry form at the Brooksie Way website, filling it out and mailing it to the Brooksie office along with the $60 team fee, and any unregistered team members individual race applications and fees. Creating a team online at the Brooksie Way website. The team captain will create the team, pay the team fee and their individual race fee then the rest of the team members can go on individually and add themselves. Teams must be comprised of a minimum of 5 participants, but may not include more than 10. Teams with less than 5 participants will not be scored as a team. Team trophies will be presented to the top 5 members of the 1st, 2nd, and 3rd place teams. 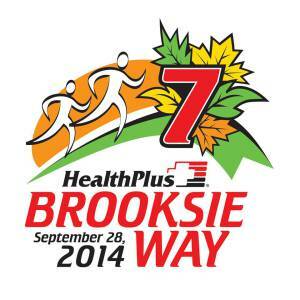 The 2014 HealthPlus Brooksie Way is Sunday, September 28th in Rochester. A $60 team entry fee, in addition to individual entry fees for each team member is required for the Team Challenge. At the end of the race, Team Challenge participants (along with 1 guest) may join other Team Challengers at the on-site tent for a “Taste of the Village” after party, provided by the Village of Rochester Hills. Registration for the Team Challenge is open until September 1st (or until 60 teams sign up), so do not delay! The 7th annual HealthPlus Brooksie Way is Sunday, September 28th, in Rochester. Reserve your spot and register today at www.TheBrooksieWay.com. The Brooksie Way is one of the premier quality of life events in Oakland County. 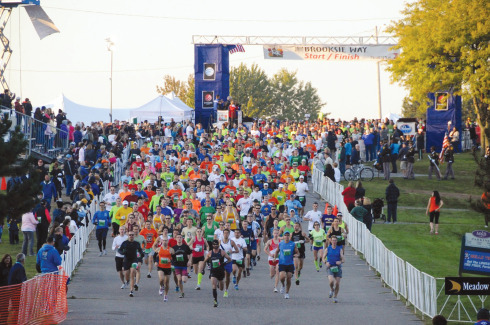 Created by Oakland County Executive L. Brooks Patterson, the Brooksie Way races help to promote Oakland County and encourage people to become more physically active. Race proceeds support programs that encourage healthy and active lifestyle and are distributed through Brooksie Way Minigrants. ← Duckweeds: Not Just for Ducks!